What Does "Visitor Status N" Mean? Once a person is convicted of a crime and enters the prison system, every aspect of his life is monitored and regulated. Additionally, these details are routinely included in the inmate's records, some of which may be available online for the public to view, depending on the policy of the prison and state law. If an inmate has visitors, this information also is documented with special codes and descriptors so that prison officials can monitor an inmate's visitor activity. Although codes may vary between prisons, the letter "N" after "Visitor Status" on an inmate's record typically means the inmate either cannot have visitors or has not had any visitors as of the date the record was pulled. If a prison follows a yes/no system, the code changes to "Y" when the inmate is eligible to receive visitors. If a prison records the number of visitors instead, the "N" will be replaced by numbers after each visitor. For example, the "N" changes to "1" after an inmate sees his first visitor and increases with each additional visitor. If an inmate never has a visitor while imprisoned, his visitor status never changes from "N." In contrast, if an inmate has a total of five visitors before being released, his record shows a visitor status of "5." 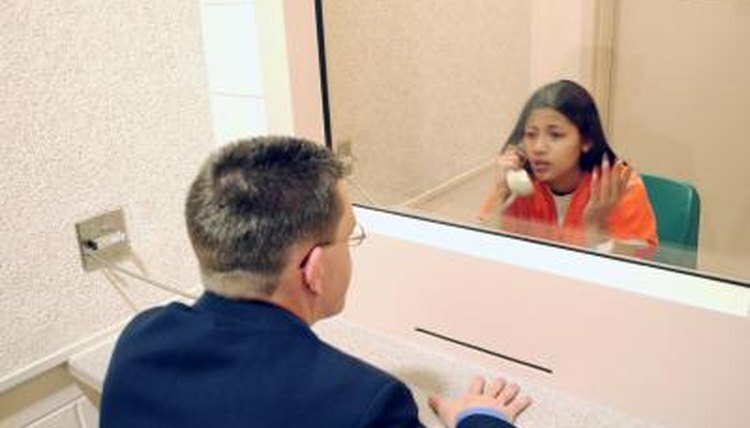 If a prison limits the number of visits an inmate can have per visitation day, the prison may automatically reset and update this information on those days. Jane, Mary. "What Does "Visitor Status N" Mean?" , https://legalbeagle.com/12322797-visitor-status-n-mean.html. Accessed 20 April 2019.